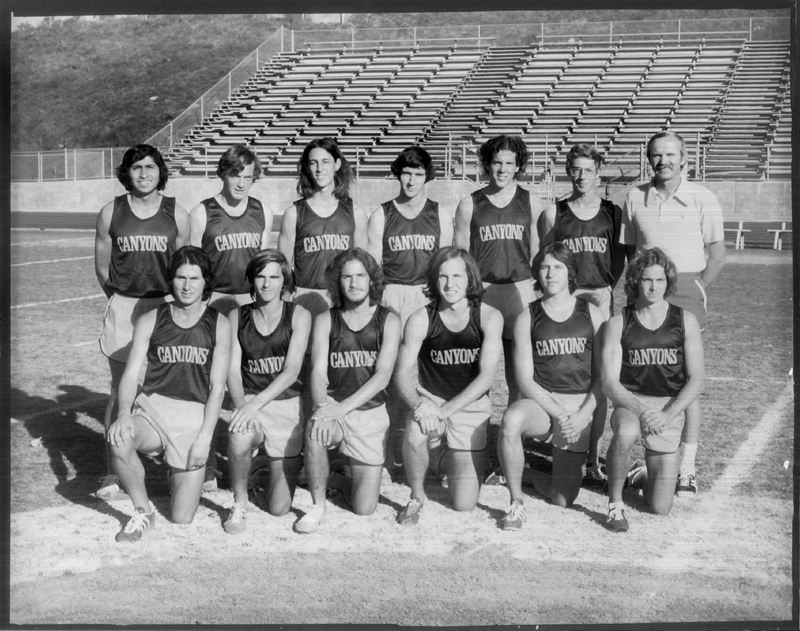 College of the Canyons 1975 Men's Cross-Country Team, California State Champions. College of the Canyons started in September 1969 on the campus of Hart High School in Newhall. The initial academic year saw the formation of COC’s first athletic teams in baseball, basketball, cross-country and track, as part of the Desert Conference. The next year, with temporary buildings erected on the Valencia college campus, the men’s cross-country team, coached by Ed Jacoby and captained by Mike Martinez, won the Western States Conference championship. 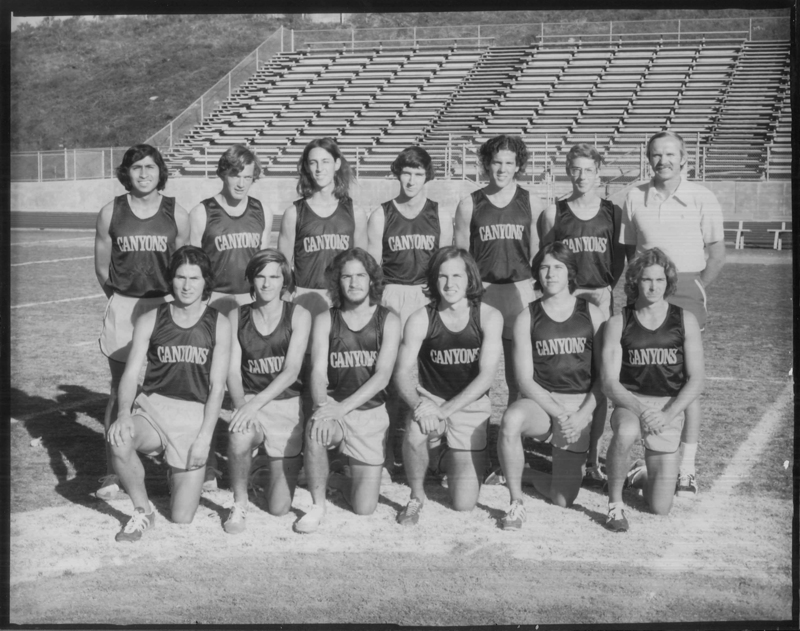 Five years later, under coach Monty Cartwright, the men’s cross-country team won the California State Championship. In just six years of the program, COC’s men had raced to the top.